See more of Alix’s work here. “If we wanted an exact likeness, we would take a photograph.” Alix Travis said this in her dulcet, reassuring Southern accent during one of my first classes at her studio back in 2014, encouraging her student to be free with both the imagination and the paintbrush. Meadow View, Dry Brook Rd. 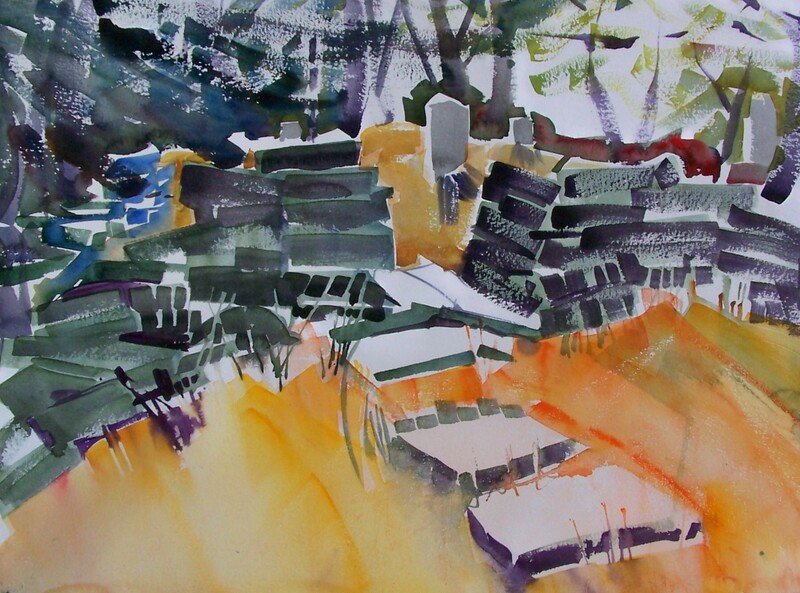 and Hill Top Cemetery, two watercolor paintings created “en plein air” by Alix Travis. 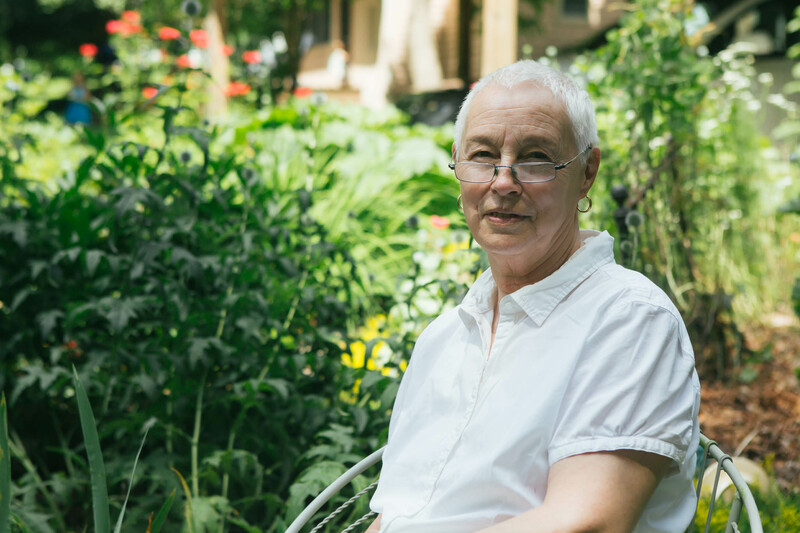 Alix is the founder of the AMR (Arkville-Margetville-Roxbury) Open Studios Tour, taking place July 30–31 this year, when artists living or working in Margaretville, Arkville, Halcottsville, Fleischmanns, and Roxbury open their studios to the public. She was motivated to start a studio tour in the Catskills after enjoying similar experiences in other communities. Each workspace reflects what each artist does and how she or he makes his or her art. I wanted to watch them and to see their tools. You don't really have that opportunity at an exhibit. Alix Travis at her studio in Halcottsville. 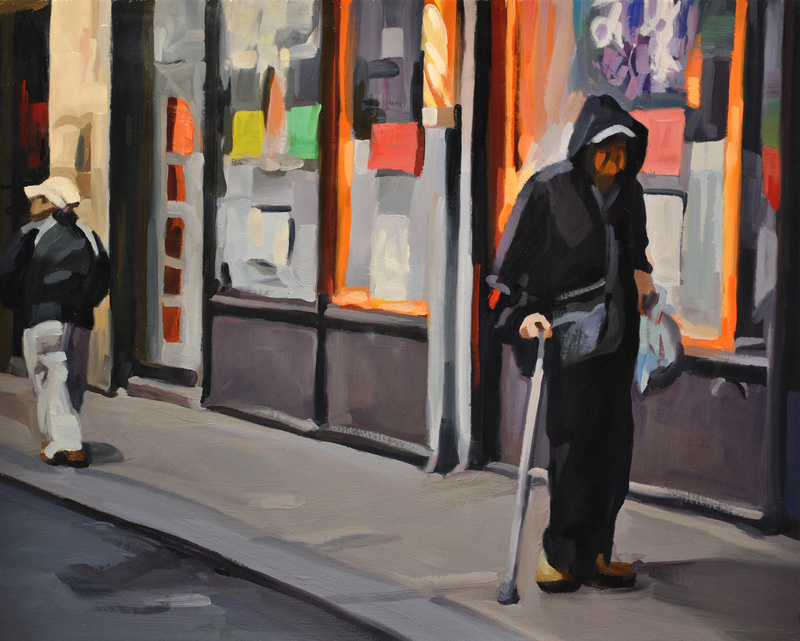 Good Neighbors, oil on canvas by Alix Travis. 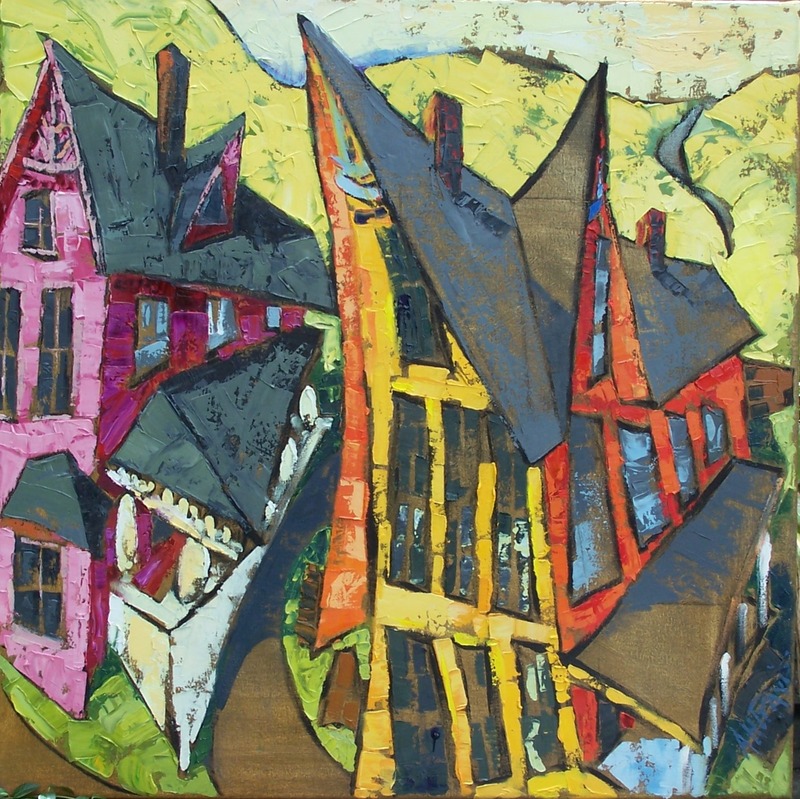 Twenty artists participate in the AMR Open Studios Tour, but there are hundreds more artists of all mediums living and working in the Catskills. Why are we here? It’s a question I both ask and answer frequently. Many of us moved here simply to have more space, but it’s also because the city is getting prohibitively expensive. Anecdotal evidence suggests that this region is quickly filling with younger New Yorkers; apart from being costly, the city is losing many of the unique facets that made it so appealing to artists in previous decades. Many move to the country to live more meaningful lives, breathe clean air, and eat real food grown locally. 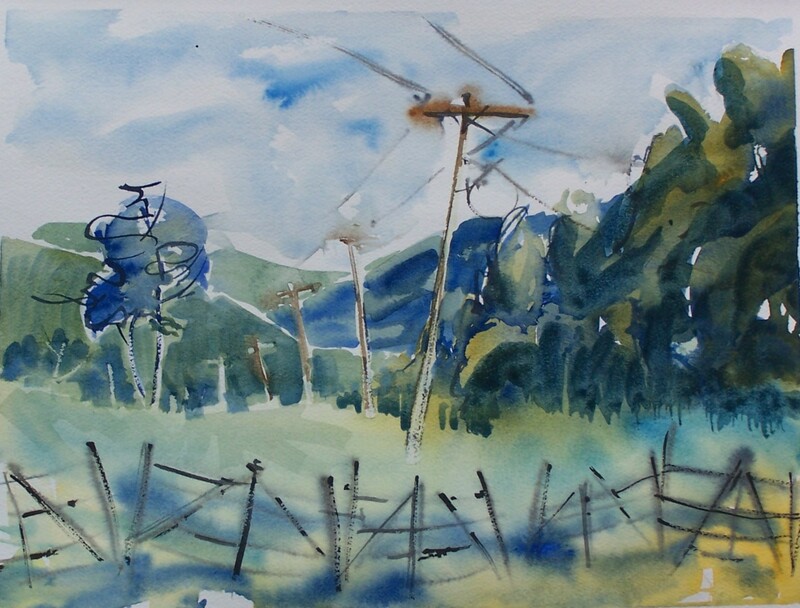 Our mountains can be isolating, though, and the tendency to disappear into the landscape is disconcerting, especially for an introverted artist. Plus, the need to drive everywhere can take its toll, but the breathtaking, majestic beauty seems as immortal as legend, and it’s right at our fingertips. Artists speak of continual, unrelenting inspiration. Even the wildflowers change year after year: last year’s mint is this year’s wild rose. I call my summers in the Catskills a rhapsody in hue. We have a ton of potters, painters, photographers, and yet the interpretation of what we each see is so distinct and so different. See more of Lisbeth’s work here. Lisbeth Firmin left New York City in 2000 and gradually, over the years since she moved to the Catskills, the human subjects in her paintings have gotten bigger and bigger. “You used to be able to tell what corner they were on,” she laughs. 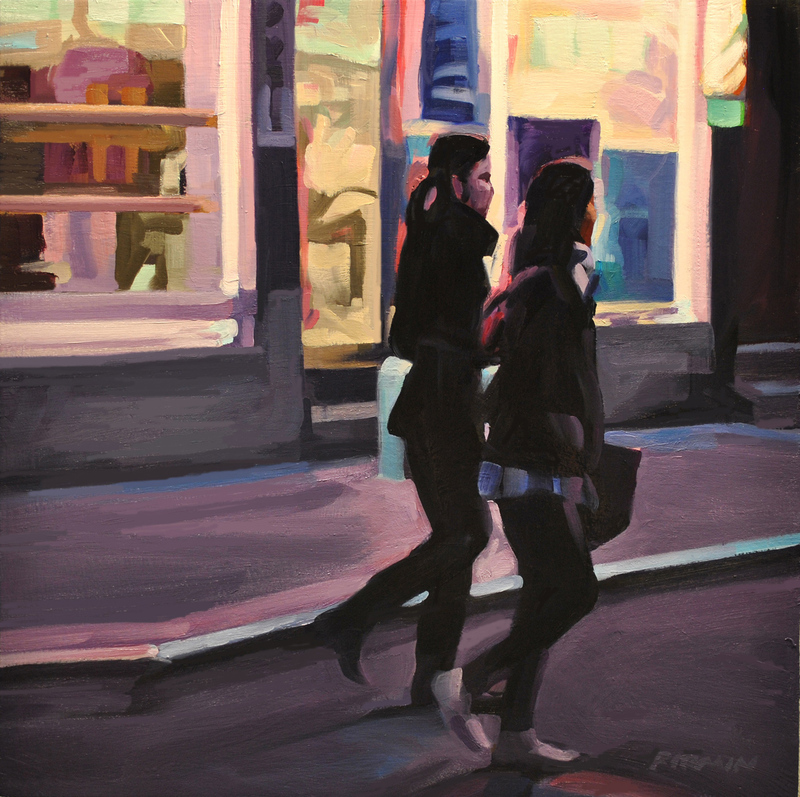 “But not any more.” Her paintings have become less about the urban environment that she paints and more about the people. Chinatown Windows I and Chinatown Windows II by Lisbeth Firmin. Lisbeth has been participating in the tour for three years. During her first year, she got a lot of interest by virtue of being new to the area having relocated from a storefront in Franklin. She now has a studio in Margaretville on the second floor of the Commons Building; it’s warmly inviting, all the wall space filled with her lush, dreamy portraits of urbanites in solitude, on their way somewhere, deeply in thought. Last year she got a surprising number of visitors, sold several pieces, and landed a portrait commission. 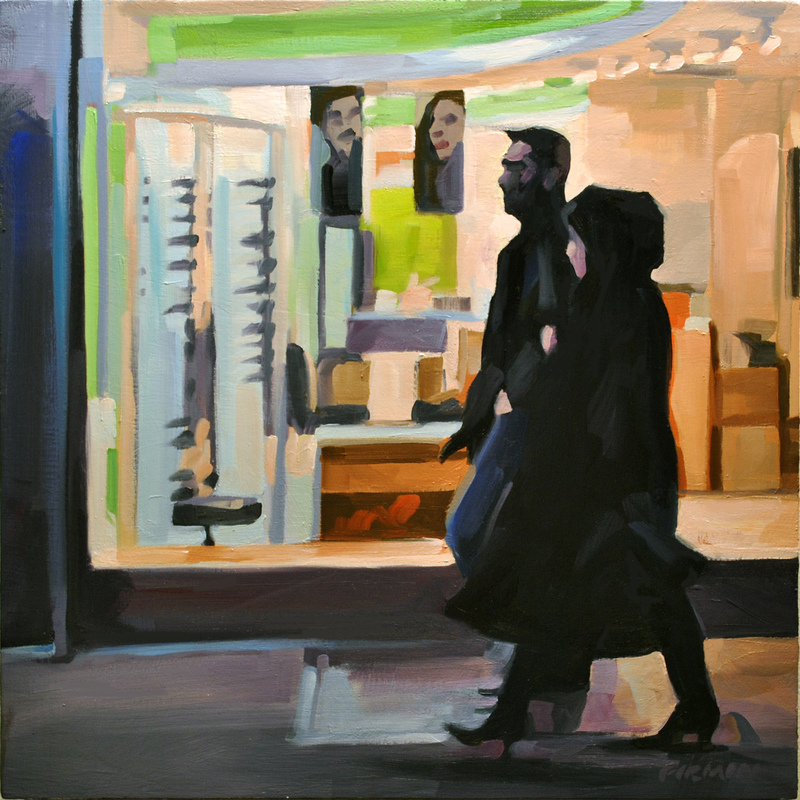 There was even a minor skirmish when two customers tussled over a painting. 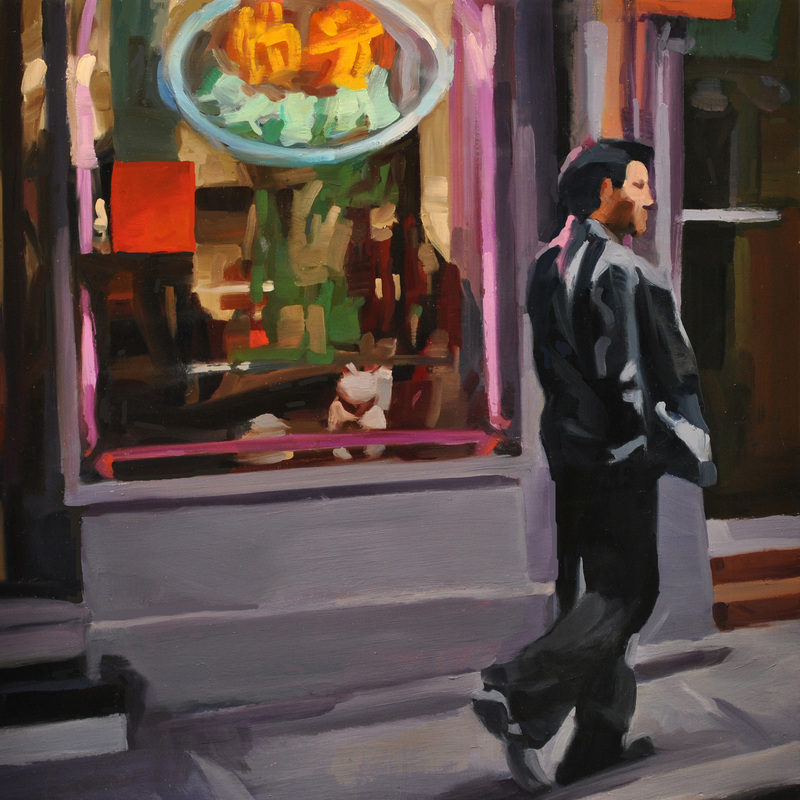 Couple, Chinatown and Two Young Women, Chinatown by Lisbeth Firmin. In fact, Tabitha says that one of the biggest challenges for artists living and working here is creating an in-county customer base. The tour is trying to tackle that, but they’re not quite there yet; only one third of the visitors of the tour last year were local residents. “We are living in a time wherein disposable income is not readily available to spend on crafts just for the sake of ‘I like that,’” says Tabitha. Much of the economic activity in our local crafts culture is from people buying gifts. There were a few local residents at Lisbeth’s studio during the tour, but most of her visitors were people who have second homes in the area. This year, 2016, is the fifth year for the AMR Open Studios Tour, and it’s seen more visitors each summer. Alix received 70–90 visitors on the first tour, held in 2012. Then the project got funding support through a New York State Decentralization grant administered by The Roxbury Arts Group and via a donation of matching dollars from the O’Connor Foundation. Last year, the artists featured on the tour received roughly 1,000 studio visits by 300–400 visitors. Even before I took up painting again, I took the tour and found it immensely rewarding. A map guides the visitor, making the whole weekend seem like an enormous treasure hunt leading us step-by-step to the artists and their astonishing work, squirrelled away in the mountains. And now that I participate, I understand another wonderful aspect of the event: in the preparation and promotion that takes place in the months prior to the tour, the artists themselves get to connect, chat, and swap notes. We also meet for an informal evening gathering the week before the tour and bring a piece of work to share. In painting and presenting together in events like this, we create the kind of artists’ community that can make our beautiful home a vibrant, creative network. Artist portrait by Tom Eberhardt-Smith. Images of each artist’s work is courtesy of the artist. Special thanks to Tabitha Gilmore-Barnes. 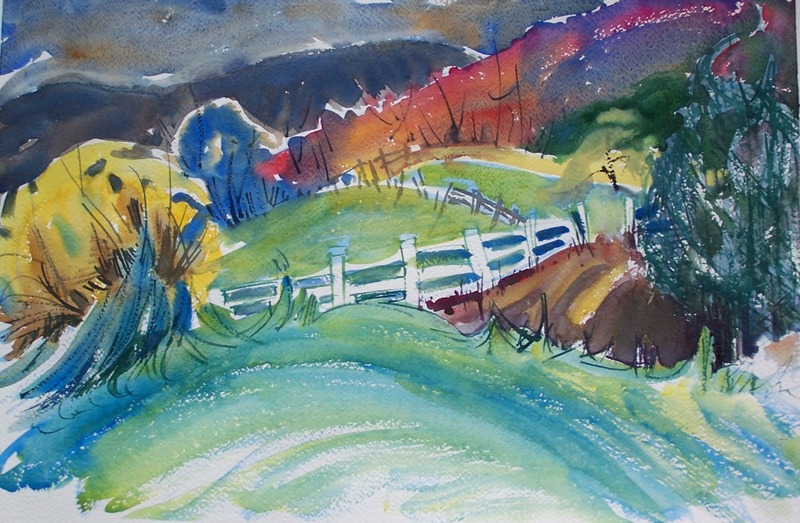 Featured image is Another October Day in the Catskills, a watercolor painting done en plein air by Alix Travis. AMR Open Studios Tour participating artists: Lisbeth Firmin, Tabitha Gilmore-Barnes, Ken Hiratsuka, Frank Manzo, Helene K. Manzo, Anthony Margiotta, Amy Masters, Gary Mead, Alan Powell, Lesley Powell, John Sanders, Ted Sheridan, Alix Travis, Gerda Van Leeuwen, Ellen Wong, and Peter Yamaoka. Four additional artists will be exhibiting at the Halcottsville Grange Hub: Robert Axelrod, Oneida Hammond, Sophie Maduri, and J.N. Urbanski (the author). Interested visitors can plan their tour by visiting the website and printing out the map. Glossy color pamphlets with all the details are also available locally at The MARK Project, The Erpf Gallery, Arkville Bread Breakfast, Catskill Recreation Center, Home Goods of Margaretville, Qualtere’s, Migliorelli’s Farm Stand, Margaretville Liquor Store, Roxbury General, Roxbury Wines & Spirits, Roxbury Arts Group, Catskill Candies, Pakatakan Farmer’s Market, The Tinderbox, The Emerson, among other locations.